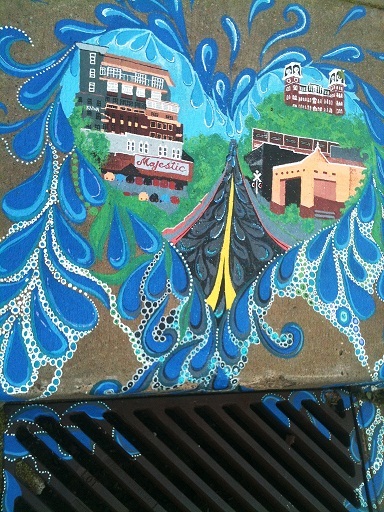 This unique and engaging educational program utilizes art to communicate the function and importance of storm drains. 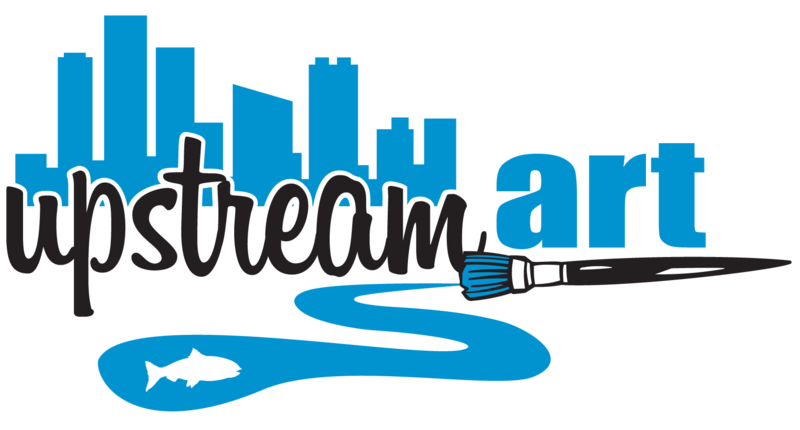 UpStream Art gives artists the opportunity to express themselves with semi-permanent public art in the form of a small-scale outdoor storm drain mural. The purpose of UpStream Art is to draw attention to the usually discreet concrete and iron infrastructure with the hope that observers stop and think about where the water flows after it enters a storm drain. If residents understand that stormwater flows untreated to creeks, streams, rivers and lakes, then they will be more conscious of potential pollutants that can enter those waterways. This project, along with the involvement of our vibrant art community, is unique and has a positive impact on water quality protection. 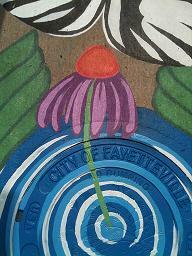 misconception that storm drains are part of our sanitary sewer system that lead to a wastewater treatment plant. Instead, storm drains act as a direct link transporting stormwater untreated to local streams, rivers, lakes and wetlands. Polluted stormwater runoff can have many adverse effects on plants, fish, animals, and people. Programs and events are open to all eligible persons without regard to race, color, national origin, religion, gender, age, disability, marital or veteran status, or any other legally protected status. Persons with disabilities who require alternative means for communication of program information (large print, audiotapes, etc.) should notify the county Extension office (or other appropriate office) as soon as possible prior to the activity.